This is our first summer in our new house and we learned really fast that our backyard is very mosquito plagued. My poor children are still too young to realize when they have mosquitoes on them and aren't quick enough to swat them. Therefore, my poor children are COVERED in itchy, miserable bug bites! However, I am also NEVER going to put DEET or any toxic bug sprays on my children so I needed to find a safe, natural mosquito solution QUICKLY and I found that from Thermacell! Using patented technology, these lanterns and repellers are almost 98% effective at keeping biting pests at bay. With our new Thermacell Backyard Torches and Lanterns, my children have had little to no bug bites and I never worry about any harmful ingredients getting on their skin! They are an attractive, discreet, odorless and silent solution, clearing a 15x15ft area in literally minutes. They use a copy of the natural repellent found in chrysanthemums to create a 15x15 ft zone of protection in just minutes.Thermacell products use butane to heat a repellent pad to evenly and effectively vaporize a repellent in the air that biting bugs really HATE! It does not kill insects, just repels them. The products are EPA approved and have been tested by the U.S. Army in Turkey and Costs Rica for effectiveness against mosquitoes and in Maine against black flies. The U.S. Department of Defense has used Thermacell for over a decade to keep sand flies and other pests at bay. And besides keeping the mosquitoes away, they also look great AND provide light! Our favorite item is the Mosquito Repellent Torch. 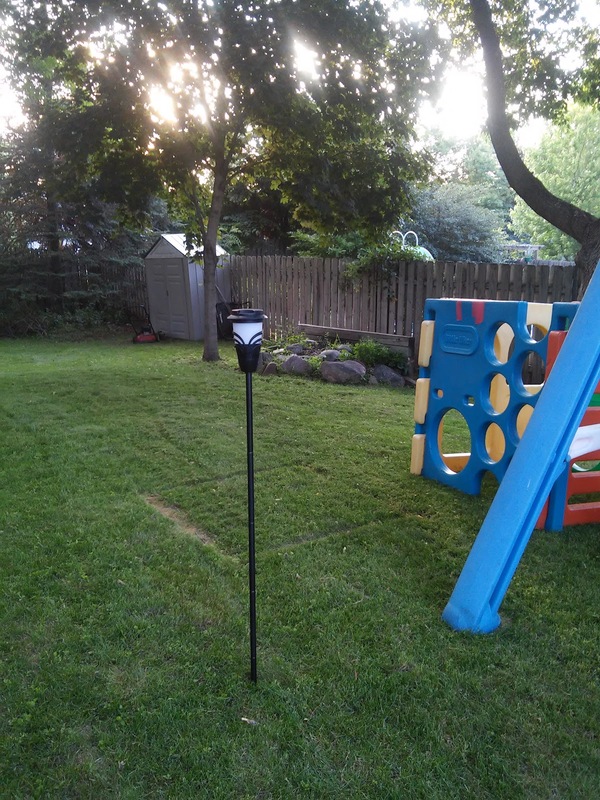 It is one of their newest products and I absolutely LOVE it because I can set it up where my children are playing in the backyard and Bye-Bye mosquitoes!!! I then can move it by me later on when I am working on the garden at dusk or over by my husband while he works outside. It is so versatile, easy to use and set up and works great! With no open flame this Backyard Torch can be used on the included pole, or the table-top stand and it creates a 15 x 15 ft Zone of Protection which is the size of an average deck or patio. It is ideal for backyards, decks, picnics, barbecues, camping, and outdoor parties. It has No smelly lotions, sprays, or oils on skin and runs silently. The repellent and light features can be used together or separately. Our summer has been saved because of Thermacell and our entire family and our bug-bite free skin thank you!!! You can purchase Thermacell online at http://www.thermacell.com/ or at a local retail store. 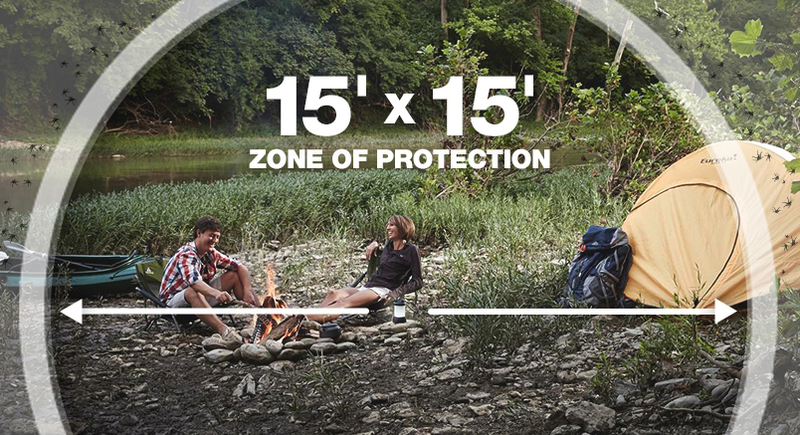 Thermacell is generously offering (1) Patio Lantern to a lucky winner!